In need of a Christmas spirit boost? 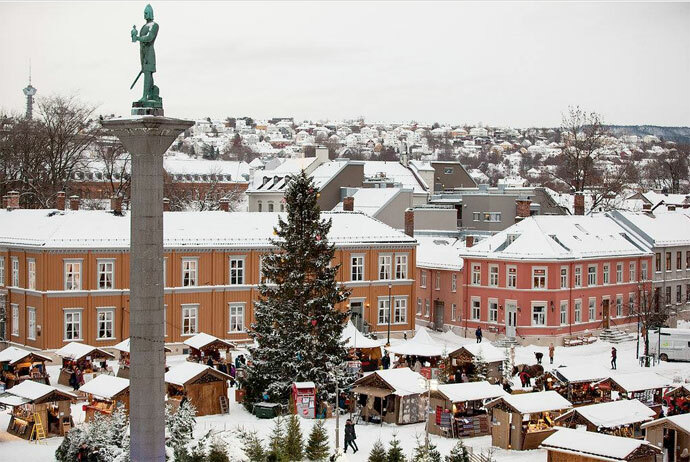 Then head straight to Trondheim, where the annual Christmas fair will take place for nearly two weeks straight in mid-December. More than 90 exhibitors will be offering of quality crafts and handmade products here, providing plenty of inspiration for last-minute gifts. Meanwhile, a farmers’ market will be on hand to offer local produce and specialities such as as honey, coffee, jam, cheese and local sweet treats. The best thing about this market is the entertainment; special stages will host no less than 130 events, keeping visitors of all ages feeling happy and festive. Some events will be held outdoors on the festival stage, while others take place at Kafélavvo – a large tipi-style tent, warmed by a crackling fire. Among the events will be charity concerts, choirs, theatre productions and fairytales for the children. And, this being Christmas, what about a horse-drawn sleigh ride? This is the 16th edition of the market in Trondheim, so it’s still relatively young compared to many of Scandinavia’s traditional Christmas markets, but it’s already looking like a bit of a classic.